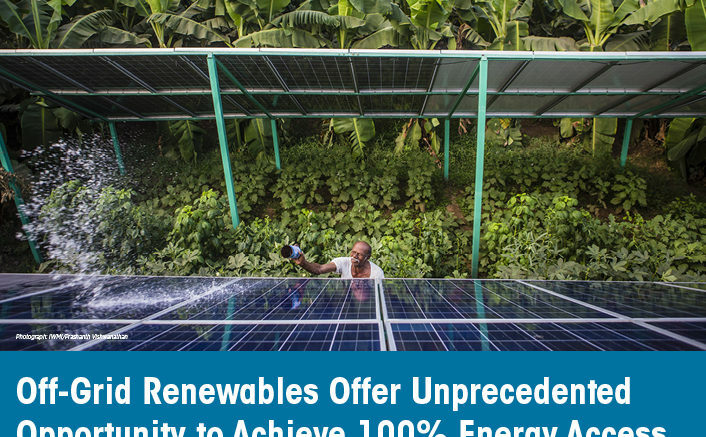 Off-grid renewable energy solutions can provide an estimated 60 percent of the additional generation needed to achieve universal access to reliable electricity sources, according to the International Renewable Energy Agency (IRENA), which hosted the third International Off-Grid Renewable Energy Conference (IOREC) this past week in Nairobi, Kenya. Roughly 15 percent of the world’s 7.4 billion people live without electricity, IRENA notes. 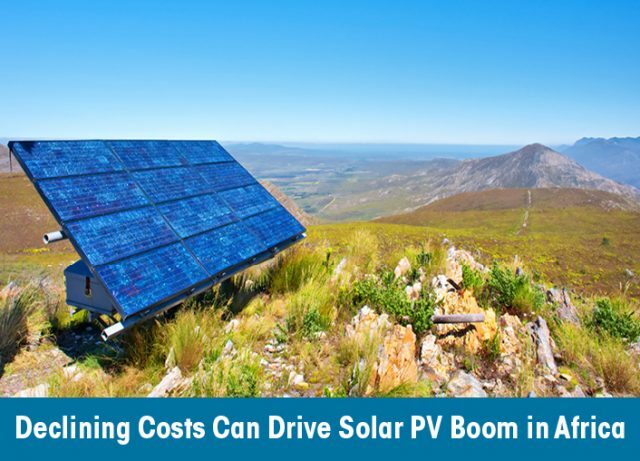 PV solar panels, inverters, controllers and increasingly lithium-ion battery storage (LiB), technology are now widely available and costs continue to decrease, as they do for wind and biomass energy technology. All the aforementioned are increasingly affordable, as well as accessible, in developing and lesser developed parts of the world. So is Internet and mobile connectivity, affording local residents access to the knowledge and other resources they need to take advantage of them. 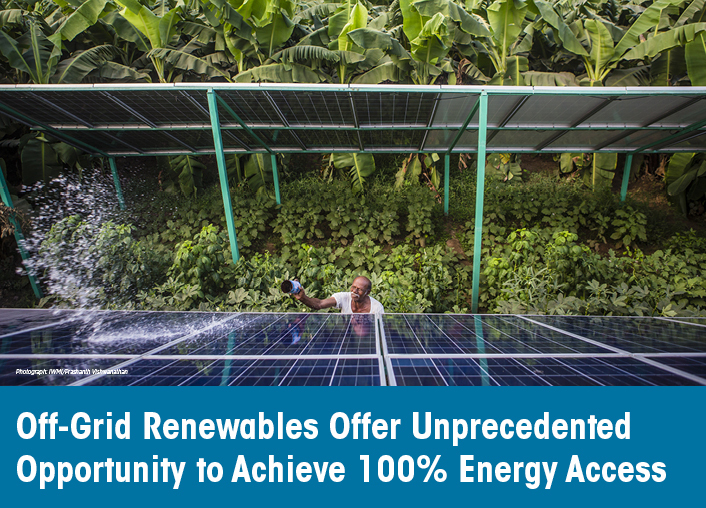 IRENA estimates the cost and availability of off-grid renewable energy solutions has reached a point where they can provide access to electricity to some 670 million people around the world — 60 percent of those who currently lack it. Small-scale mobile ¨pay as you go¨ home PV solar systems and micro/mini-grids are proving to be extremely popular in sub-Saharan Africa and India, for example. Multilateral public-private partnerships, such as President Barack Obama’s Power Africa program, have been key to spurring innovation and creating a first generation of local African distributed clean energy entrepreneurs and businesses, the benefits of which are spreading rapidly. 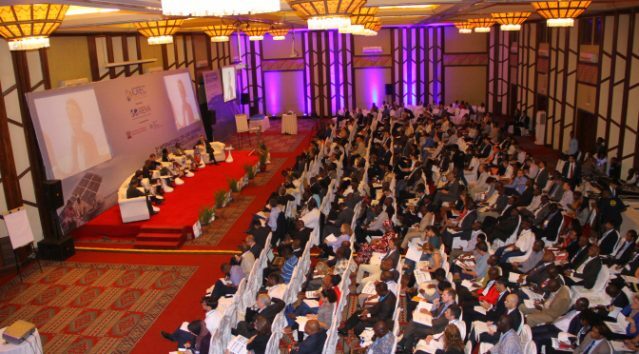 More than 500 people gathered in Nairobi for IRENA’s third IOREC. “Access to electricity is a central building block for socio-economic development. It empowers communities to increase income and productivity, gain access to healthcare and education, enhance water and food security, and improve general well-being,” IRENA Director-General Adnan Z. Amin was quoted in a press release. Cabinet Secretary for Kenya’s Ministry of Energy and Petroleum Charles Keter presented details of the East African nation’s numerous standalone and mini-grid systems up and running or under construction. “Kenya is committed to ensuring universal access to energy by 2020. This will be achieved through exploitation of the locally available energy sources including off-grid solutions,” Keter said. He added that Kenya has opened its doors to local and overseas private sector players willing and able to invest in the country’s energy sector. Representatives of 44 African countries, including 29 heads of state, joined Pres. Obama and Commerce Secretary Penny Prtizker, Secretary of State John Kerry and Treasury Secretary Jack Lew at the second U.S.-Africa Business Forum, which was held in New York City Sept. 21 in coincidence with the convening of the 71st Session of the UN General Assembly. Organized by Bloomberg Philanthropies, the event also attracted hundreds of CEOs from the U.S. and Africa, according to a U.S. Commerce Dept. news report. New U.S. investments in Africa PV solar, microgrid and renewable energy projects and businesses numbered among the conference highlights. Among those, the U.S. Trade and Development Agency and partners in Kenya announced the awarding of six Power Africa grants, the largest USTDA investment in Kenya’s power sector to date. Four of the six were for PV solar power projects. Power Africa partners U.S. Africa Development Foundation (USADF), partner GE Africa and program manager USAID significantly increased the number of $100,000 Off-Grid Energy Challenge grants awarded to sub-Saharan African clean energy entrepreneurs and ventures during the conference. In sum, that should bring the total number of projects in the Off-Grid Energy Challenge portfolio up to about 70, including six project expansion grants, that will bring connections to electricity to rural residents across the region, USADF’s Tom Coogan highlighted in a recent interview. U.S. investment in Africa his increased 70 percent over the past eight years, Pres. Obama highlighted in a speech given at The Plaza Hotel. That includes mobilizing more than 130 public and private sector Power Africa participants in allocating more than $52 billion to double electricity access across sub-Saharan Africa. ¨In the two years since our last forum, American and African companies have concluded deals worth nearly $15 billion, which will support African development across the board, from manufacturing to health care to renewable energy,¨ the president noted.